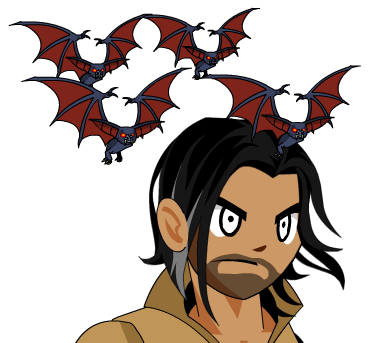 Description: You need to keep your hair tied back if you have bats flying around… thankfully they don't get caught in short hair. Note: Also see Bats off to You! (Female).